So, we here in the lab have survived yet another pre-Tucson Gem and Mineral Show crunch. Barely. This year we are exhibiting our casts at the 22nd Street Show. Come by and see our new stuff, like the Megalonyx, Enchodus, Stangerochampsa and our new Avaceratops. Speaking of that, the prototype is finished! We molded the masters and then cast them using a rotational casting machine. Very lightweight! The finished skull is 1.05m (3'5") long from rostrum to end of parietal. Very cute, and since the brow horns are pretty darn near symmetrical, their tweezer-like form is probably real. 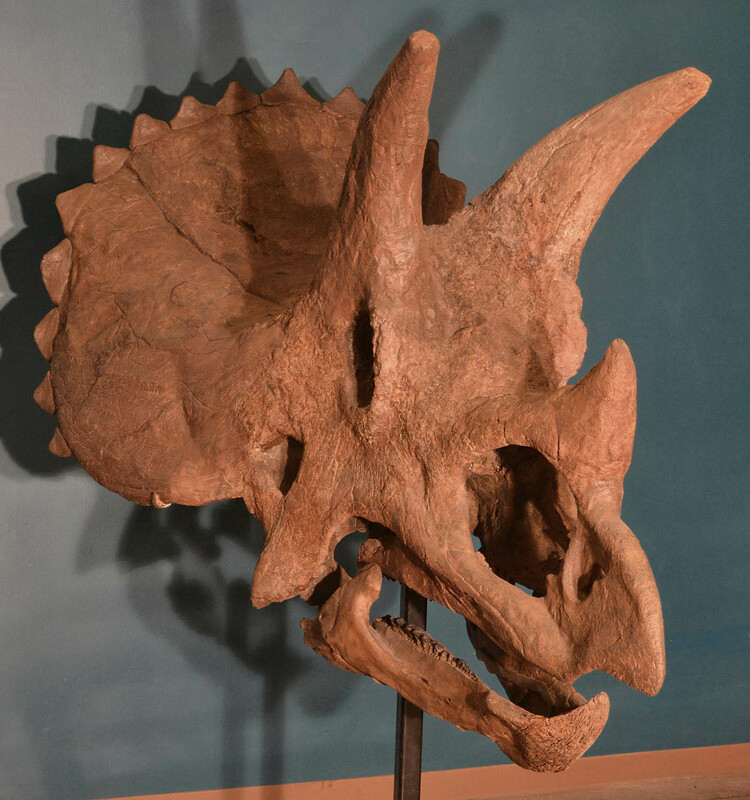 Very different than Nasutoceratops or even the MOR specimen of Avaceratops that Penkalski and Dodson described. What that means precisely is something for the experts to work out. The Enchodus is also pretty darn cool looking. Coming in at just 5 feet long (1.7m), it's one of the scariest looking little fish I've ever dug up. Stop by the booth and check out the specimens. And if you would like a copy of the Avaceratops, tell Mike I sent you. He;ll give you a good deal.